We want to offer the professional, everything necessary to organize your vacation packages or flight courses. We are the first and only flight center in Andalusia, provided with the development of the flight by the system of takeoff by lathe with boat. We are the only center in Europe, with the necessary infrastructures for the development of slalom with paramotor over water. Raúl Rodríguez, Organizes courses of active piloting by means of the winch with boat. 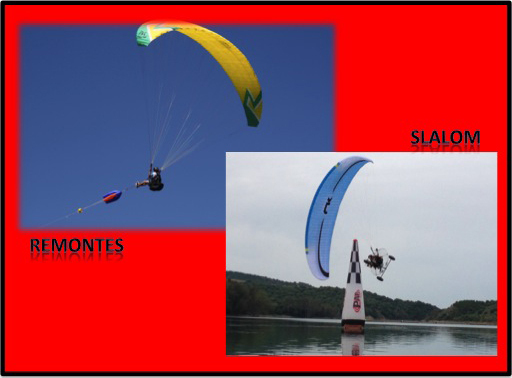 Ramón Morillas, Trains teams of paramotor in the specialty of Slalom and imparts courses of active piloting. Schools like Fly Spain, teach their safety courses with us. PAP paramotor, Visit Us very often to train and tune their engines. Paragliding marks as NIVIUK, Also visits us occasionally to put his new models to point. In our facilities we have different services for our visitors, So that they can enjoy a pleasant stay and enjoy the most of the experience. Boat with winch for ski lifts on the lake.